Textile House: Border, Borders and More Borders. My two finishes in January were WIPs from 2012. It was missing a border. Two borders actually. It traveled to New England in August with the potential borders.. one got put on at that point. Then it went to retreat in November, where the next border was auditioned and failed. Finally, after a few more tries, it went to the January retreat where it was finished! 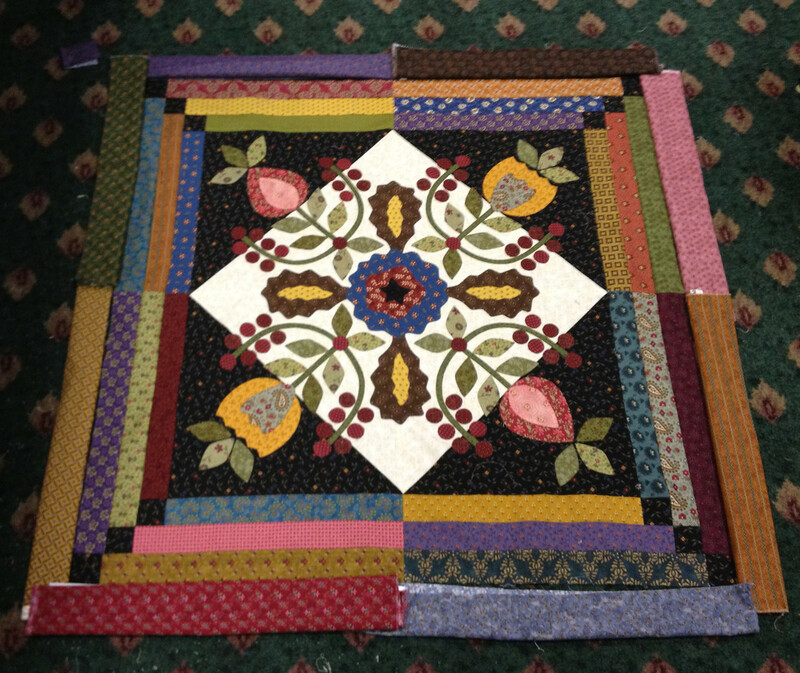 This quilt started a few years ago when I decided I needed a traveling project.. lots of baskets with handles to practice my hand applique stitching. It definitely traveled quite a bit. I had put on the first border during retreat in November, but I had to wait for some more fabric to continue the trial and error process. I must say the last inside border was the most difficult since I had used most of the fabrics I had brought to the retreat but I refused to leave with it unfinished! I'm so happy I worked through that last inner border and was able to finish it. This is my first FINISHED machine applique project. It really worked wonders on my confidence to tackle more like this. Which means I just might get some use out of the truckloads of Blackbird design and Kim Diehl books I have in the closet!!! 9 comments on "Border, Borders and More Borders." What wonderful finishes! 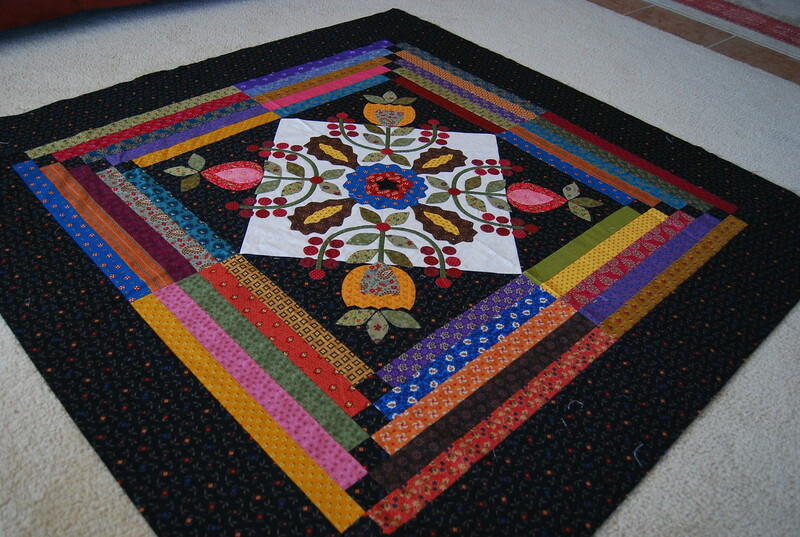 The borders on your quilt are amazing! WOW! 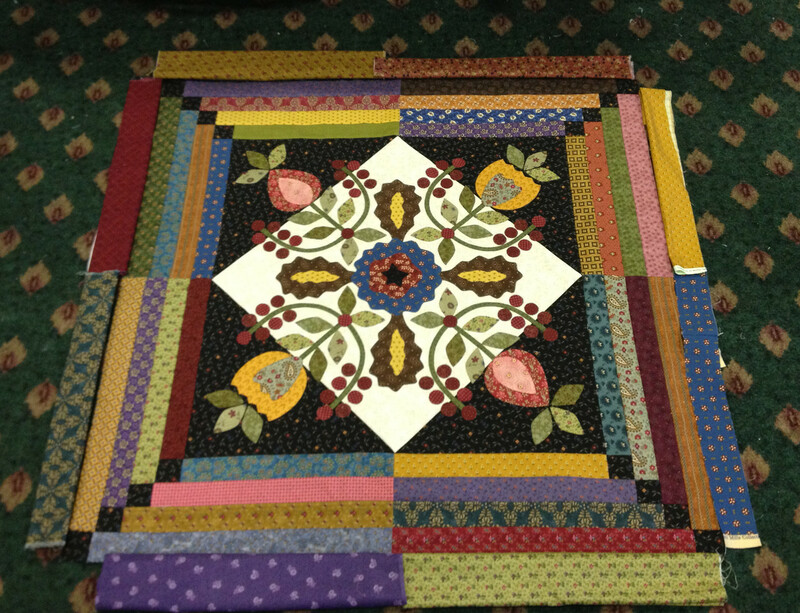 Love your Kim Diehl applique quilt. The borders look wonderful.I need to finish mine. It has been waiting to be finished for a year now. I'm so glad you're back to blogging! 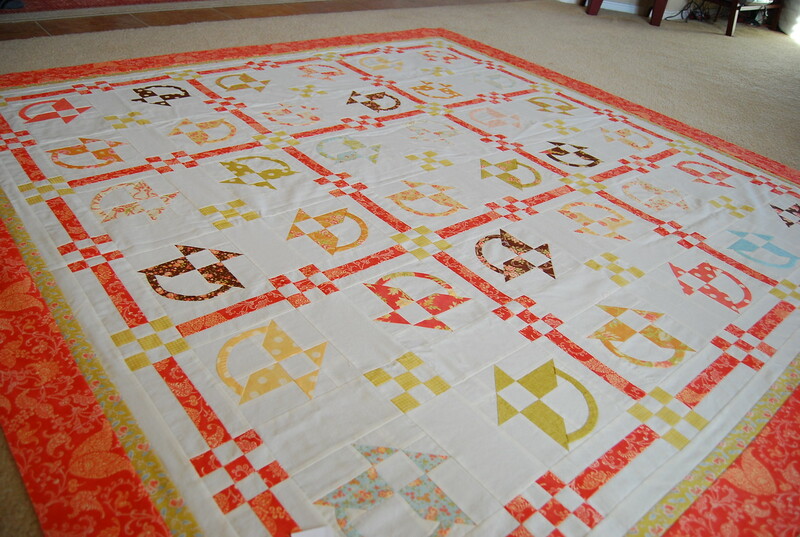 Petit Fours is on my list too, I need to make the blocks so I can start working on those handles, that's a great idea. 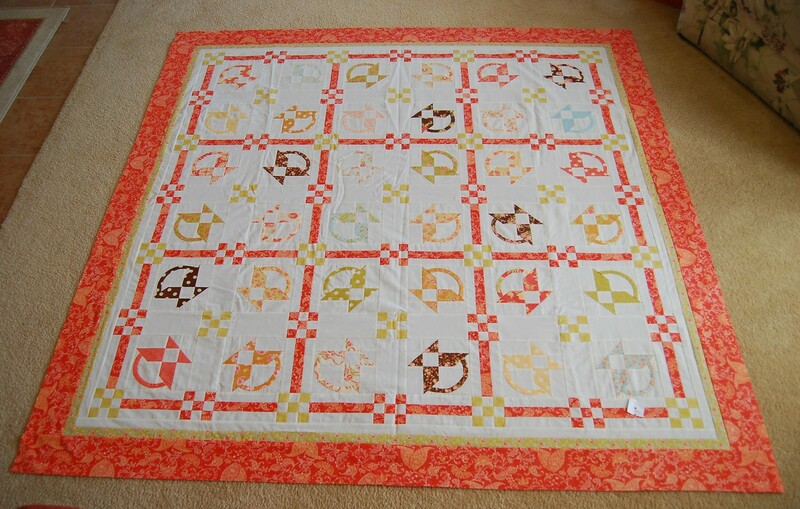 Your first machine appliqué project is gorgeous, great job, you're giving me confidence too! Amazing! What a way to start the year... you are on a roll! Very Very Nice! I love both of your finished projects! 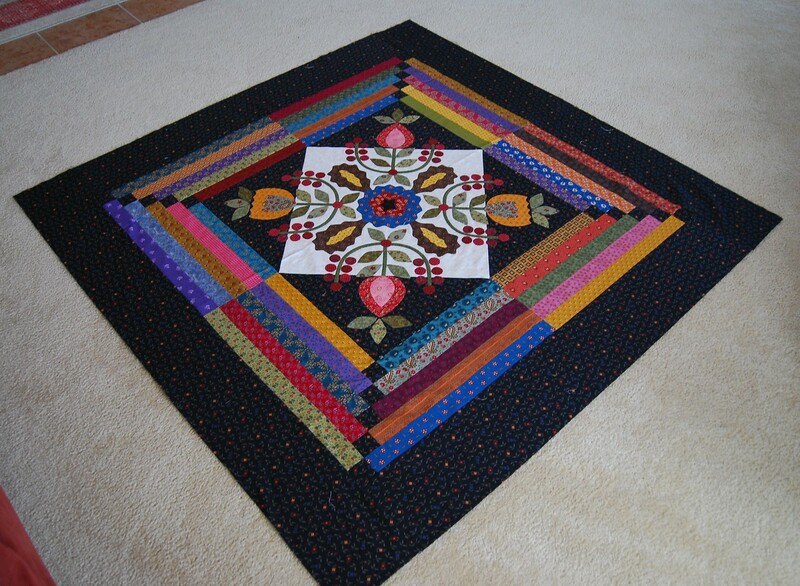 What gorgeous projects! Two lovely additions to your home! Two beauties, Sandy. Way to go!